This script will allow you to Rotate and Zoom Characters, as well as create Pendulums! Rotation also allows for "Pointing At" Targets such as Events, Player, or even Map Coordinates. Effects can be Transitioned. 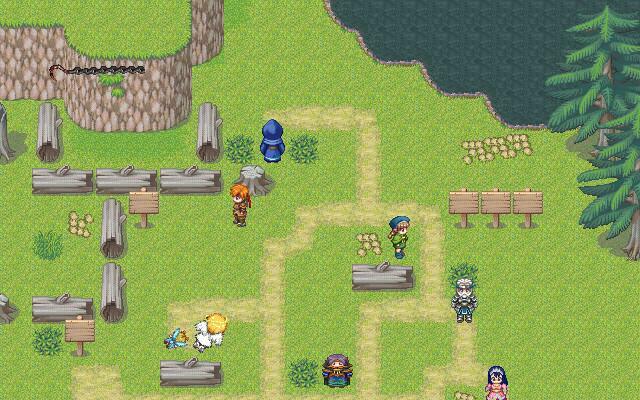 # This script will allow you to Rotate Characters, both Player and Events. # through the documentation of scripts. # any Limits imposed will be ignored. Only affects Targets! # a \rotate_speed will rotate counter clockwise 5 degrees each frame. # mechanical engineering applied, is possible to simulate. # You can use Decimals for very specific control over Rotational Speed. # be one of three values to suit the needs of your situation. # the same time because the Character can only point to One of them. # is often a good way of telling the Player where they need to go. # are NOT considered because this is not the Super Event Sensor script. # this yet, I am relatively certain that it is possible to do. # the Bottom of a Sprite instead of the Top of the Sprite (Default). # it is often useful to rotate ones humor to produce more desirable effects. # joke applied in a different situation is found to be quite satisfying. # head. The Grunt responded "Sir! Yes Sir!" and immediately shot himself. # fell to his death. # courageous Sailor sharply responded "Go get your own damn coffee, sir!". # without question when injury or harm is the result of obedience. # members of the Army. # be imposed on a Character. # put a Limit on how far these Camera Style Events are allowed to turn. # turning Rotation of the Camera to 90 Degrees Up! Its that easy! # that the Min and Max values are not linear, but Rotational. 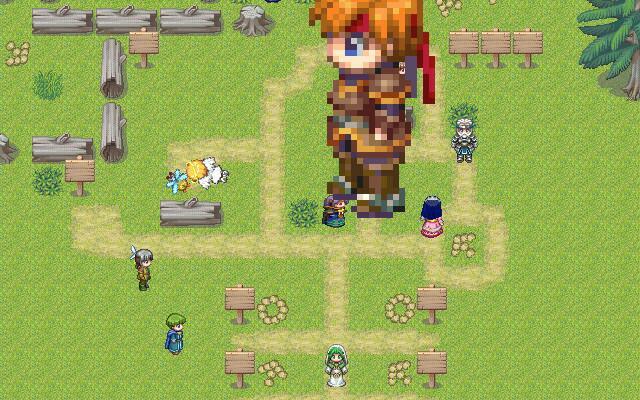 # Welcome to the wonderful world of RPG Metal Fantasy Maker Gear XP Deluxe! # swing back and forth. # as 32 pixels, so to set a Length of 1 meter use \penulum_length. # you so desire for even more control over Frequency. # All other Rotational Movement will prevent a Pendulum from Updating. # depending on your situation. # approximation and is acceptable for non collision game use. # of \rotate_center must have the last character as the "]" brace. # set the Zoom Level, you'll need to either use X for Width, or Y for Height. # will be processed, and each line counts against that LIMIT. # is and Transition to a Zoom X of 0.5 over 20 frames. # You can run Two Scripts at the same time to Transition both X and Y values. # times the original height over 20 frames. # different than the Script Box in Edit Event -> Set Move Route -> Script! # These Script Calls are intended to be run from Set Move Route -> Script. # - Clears all Rotational Vectors and Properties, including Comments! # - Can not use on Game Player because Player doesn't have any Comments! # letter N is your Numeric value. # length is determined as 32 pixels = 1 meter. not @rotate_speed.nil? or not @rotate_angle_target.nil? @sprite_zoom_x = 1.0 if @sprite_zoom_x.nil? @sprite_zoom_y = 1.0 if @sprite_zoom_y.nil? @rotate_speed = 0 if @rotate_speed.nil? # passed to this class by Sprite_Character in the height Argument. Characters can be given Rotations and Zooms with either Comments or Scripts. See the Documentation for full list of features. I'd like to thank Tilt-A-Whirl for making me Dizzy! All Effects are NON COLLIDING. Thus, you can't bump into a Pendulum, even if it looks like you can. These Effects are intended as Cosmetic ONLY.